Jenni Fagan is a Scottish novelist and poet, her debut novel, The Panopticon, is published in the UK, US and Europe. 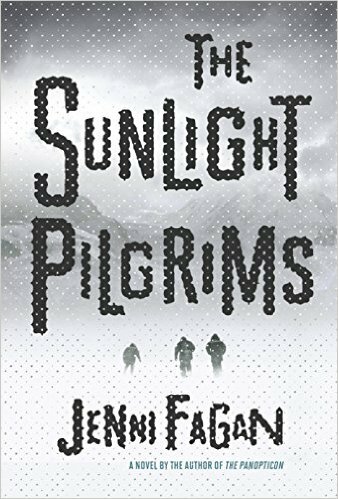 She has just completed the first draft of her second novel The Sunlight Pilgrims. Her poetry collections are Urchin Belle and The Dead Queen of Bohemia. Her work has been nominated and shortlisted for various prizes including The Pushcart & The James Tait Black Prize. In 2013, Jenni was included on the once a decade Best of Young British Novelists under 40 by Granta magazine. She is currently Writer In Residence at Edinburgh University and lives in a coastal village with her toddler. I am so sad that this book flopped for me. I really wanted to like it... I do love dystopian reads, but I felt so confused by most of it. So much detail, and yet I often felt like the pieces went nowhere. I was waiting for the moment when I would be like, okay, wow, but it didn't come. I was confused by Dylan and Constance more than anyone in the book and I thought it was supposed to be centered around Stella. Was I not supposed to get it? Did I miss something? Yup, this book just was not for me. But like so many other books that I didn't like and the rest of the world loved, don't knock it till you try it. It does sound like a good book, so I'm sorry you didn't enjoy it! I like dystopian reads too, kind of bummed that it seemed so confusing etc., as it sounds really good from the synopsis! So, it finally showed up at the library site, so I have reserved it so I can take a look. But, it will take a while, there's a waitlist for it.